Many of you know that Goats are my very favorite animal, and that I used to make goat milk soap for several years. I love doing reviews with other goat dairies as I already know the work and effort that goes into creating products with goat milk. 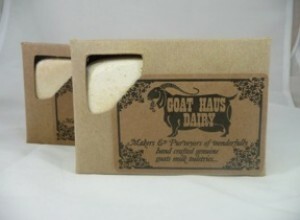 Rich, creamy, healthy goat milk is a prime ingredient in Goat Haus Dairy's products. Goat milk is a fantastic moisturizer that has been used for thousands of years! We read old archives of princesses and royalty soaking in goat milk baths. Well rather than soaking directly in it, you can use goat milk soap and lotion when you are doing bathing for a similar effect. 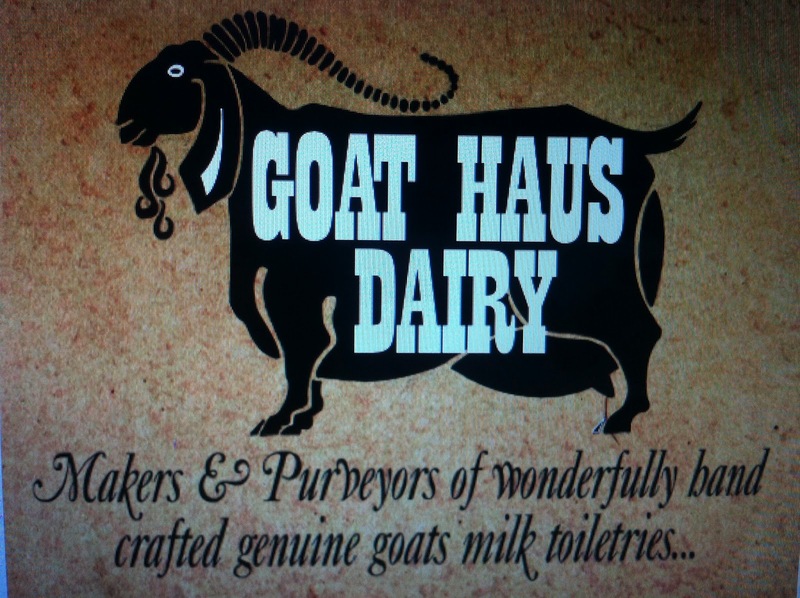 Goat Haus Dairy is a family run operation. From the very beginning of the process, caring for the goats and milking them, to processing the milk, to making the products. If it is anything like our farm was, all hands on deck when it came time to running the family farm! Firstly a question I would get asked too often, Does it smell like goats?? Well, NO, not anymore than cows milk smells like cows :) The milk just simply has a milky, creamy smell to it and it easily overcome by olive oils and natural fragrances. Handcrafted Soap comes in a large selection of scents. This bar is heavy and long lasting. It will not just rince away down the drain. I tried Patchouli, a scent you either love or hate. I happen to love it :) $5.50 a bar is very reasonable for the care and energy that goes into making this premier soap! Lotions is an area that I didn't get much opportunity to delve into but would have loved to! They sell hand lotion, body butter, foot cream and lotion bars. Lotion bars are wonderful for the dry winters!! I tried Patchouli hand lotion, as I wanted to keep my scents the same. It is a powerful scent, but a nice one! I love it and it was creamy and smooth. I haven't tried very many goat milk lotions, and this is definitely one I would keep with! They also carry a dusting powder for hot days, lip balm, cuticle cream and all of these items can be put into a beautiful gift box created just for you! I love the old fashioned labels and the green use of recyclable materials. 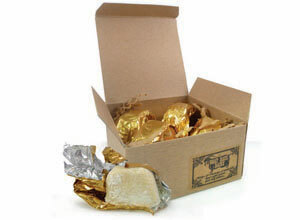 Their latest product is the Bath melts, talk about luxury feel!! These contain goat milk, shea butter, jojoba oil and more. Becky's goat pictures on FB make me miss my own goats, they are just so adorable! 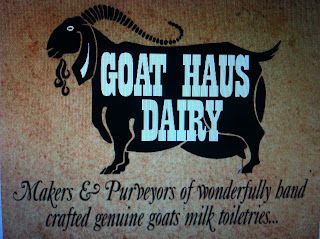 Goat Haus Dairy is one of the sponsors for A Year of Jubilee in the Fall into Handmade Giveaway Event beginning Sept 1st! Be sure to stop back to see what great Goat milk products Becky is offering to my readers. I can't wait to try some of the goat milk soaps. I love that they have a farm with their own goats! Everything sounded really great, then I saw the bath melts and I was REALLY sold!! I would absolutely love to try those! These products sound so wonderfully pampering! I know that a milk bath was something wealthy Victorian women enjoyed for special pampering so I imagine goats milk is wonderful for the skin. I would love to try the lip balm since I have chapped lips and my boyfriend doesn't like the smell/taste on his lips after I kiss him with the ones I get from the store.